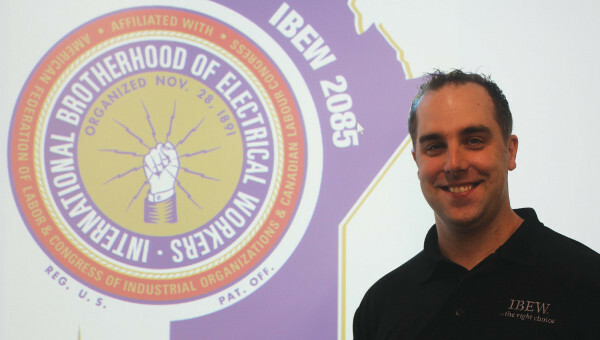 I had a teleconference with our District Organizing Coordinator Martin Duckworth last month to discuss IBEW Local 2085 membership gains over the past 10 years. I was blown away by how well our Local has performed. I have attached a letter from Brother Duckworth with the numbers of members over the years. When I joined IBEW Local 2085 in 2004, I believe we had just over 600 members, and as of today, we are around 1408. With our progressive approach to organizing, raising the standard for training and quality of craftsmanship, I believe we are going to continue this trend in Manitoba. We are finding that more contractors are seeing the benefits of being an IBEW contractor and not just the differential in the pay rate. We are also seeing more unrepresented workers wanting to join the IBEW and buy into our culture. We are very proud to share these results and we would like everyone to know that is truly a team effort to get to where we are today. With these gains in membership, we are not going to let down our guard but rather use this inspiration to keep driving forward with organizing. I was going over my annual membership numbers after requesting a copy of the membership numbers from the year ending 2007 so that I could do a ten-year look back. I was expecting to see a trend of one to two percent per year growth for most of the locals in western Canada which is a target set at the International Convention held in Vancouver Sept. 19-23, 2011. This goal was set to be an achievable goal for all locals with construction jurisdiction, with the thinking that if every local could increase their membership by one percent year over year, we would be able to retake market share and increase our union density which has seen a slow decline since the early 80’s. Not only has 2085 meet the challenge they smashed the goal. Your local started off with a membership number of 781 December 31, 2007, and increased membership to 1450 December 31, 2017. An increase of 85.66% putting 2085 in the number one spot in the west for membership gains. Not only that the average for all of Canada was 22.92% per local. I would have to say that your local has taken the challenge set out by the international wholeheartedly and embraced a culture of organizing. The only way that a local can achieve these gains is with a cultural change at all levels starting with the leadership all the way down to the rank and file membership. I applaud your local’s progressive thinking by embracing this policy.